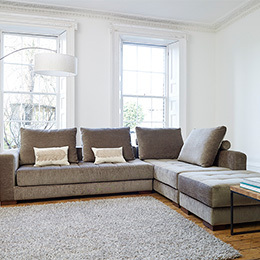 Is your living room due a refurb? 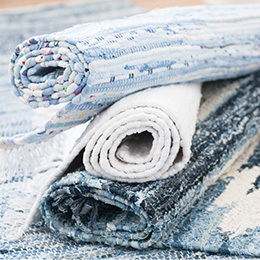 Is your living room looking tired, old fashioned and outdated? Do you fancy giving it a spruce up, perhaps a lick of paint and a more modern colour scheme? If so, have you considered making grey your main focus colour? 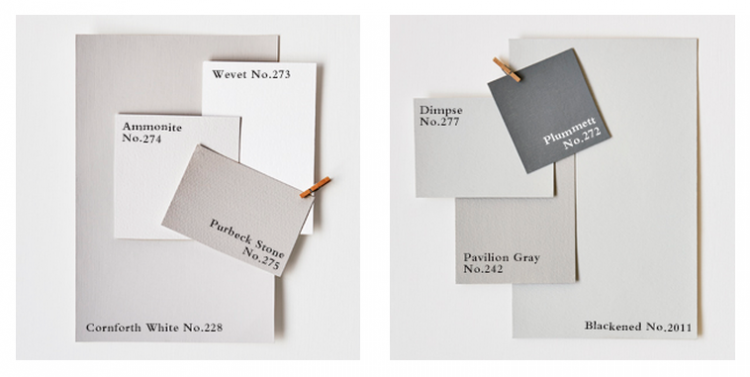 Why choose a grey colour scheme? Pairing soft shades of grey with monochrome prints and bright colours (like lemon yellow or neon pink) is the trend du jour. Accent with bold printed furnishings, like the cushion below. 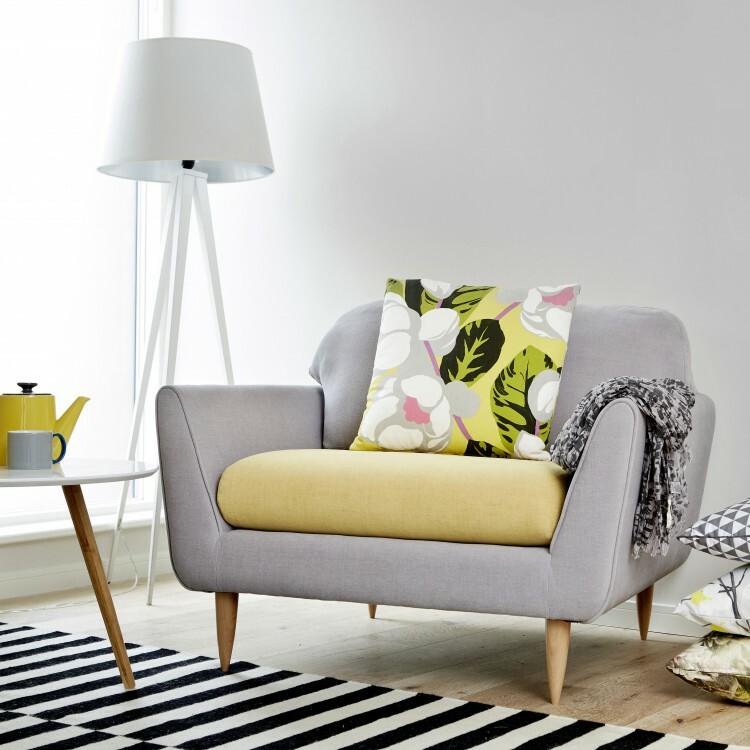 Grey, bright colours & bold prints. Image: Archer & Co.
Use soft grey with metallics to incorporate two modern trends in one living room. 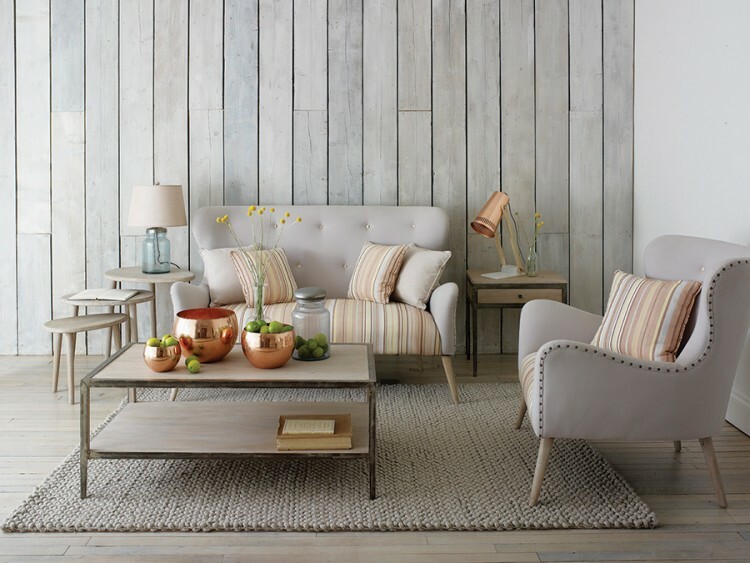 In the picture below, grey is paired with copper accessories, which add a touch of warmth to the room. Don’t assume you’re limited to copper. In these images, Norsu Interiors allowed the accessories to do the talking. 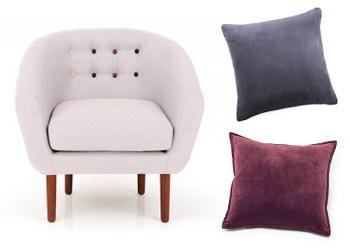 On the left, Norsu opted for grey-on-grey with bold red and black cushions. The table and accessories are gunmetal grey metallic. On the right, black, grey, pink and gold tones are all used – giving the room a subtle feminine vibe. Looking for something a little more classic? Opt for neutral colours with stone grey undertones and accessorise with furnishings in earth tone colours for a relaxed vibe. Natural materials, recycled glass, organic fibres and wooden textures work wonderfully with this scheme. The following following living rooms are modern, bright and airy. Both rooms are painted white, with large uncovered windows and beautiful wooden floors. 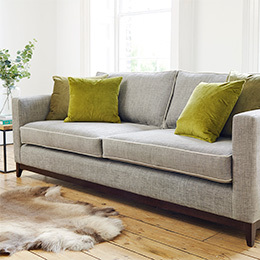 The room on the left features a grey sofa with scatter cushions in solid leafy green shades. 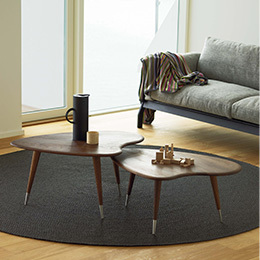 The wooden floor, wooden side table, faux animal fur rug and simple vase of foliage accentuate the theme. 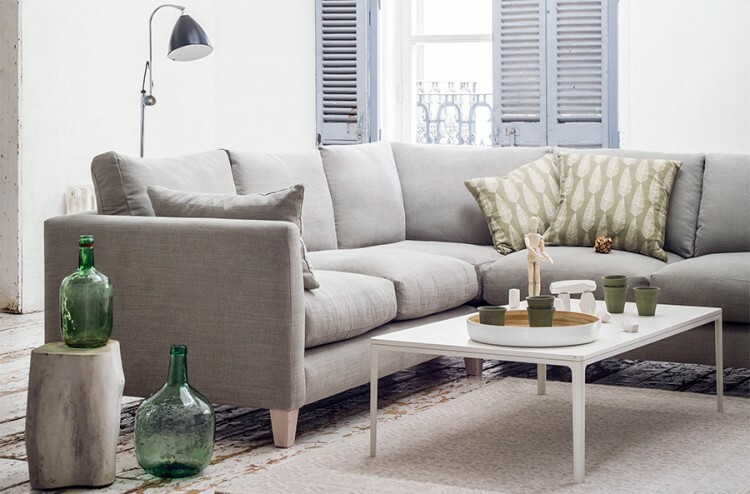 On the right, the brown-grey sofa is complimented by a shaggy rug and feather-print scatter cushions, both in neutral earthy tones. Pictures and styling by Darlings of Chelsea. 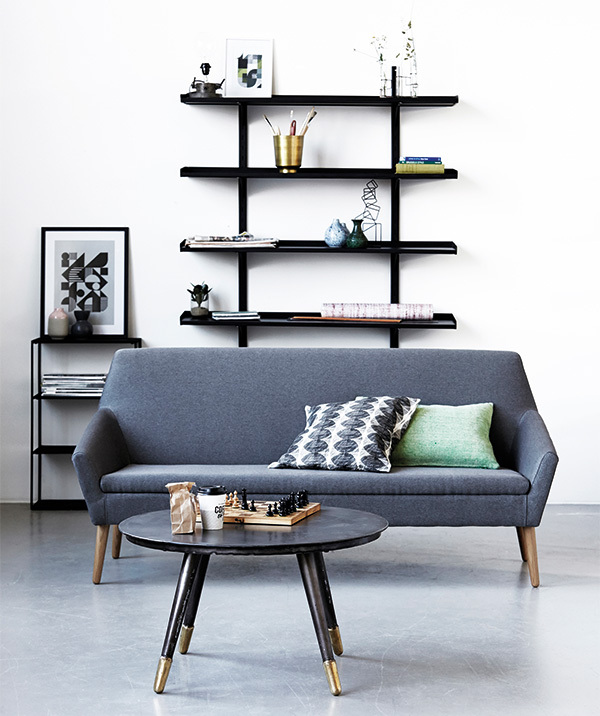 Scandinavian/Nordic design is seeing a revival across Europe and the United States. 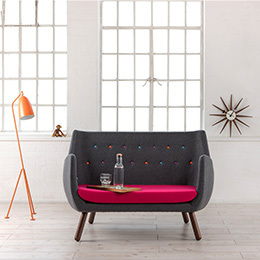 The style of design originally swept the world in the 1950s. 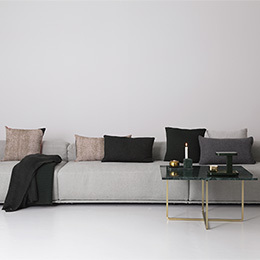 Scandi/Nordic style is very minimalist. 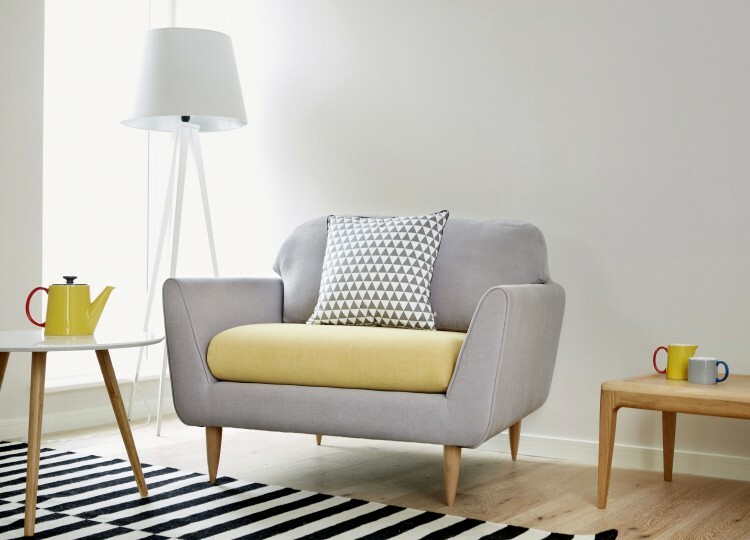 Choose simple, modern, elegant and functional pieces for your home. Match cool greys with blues. Monochrome often features too. 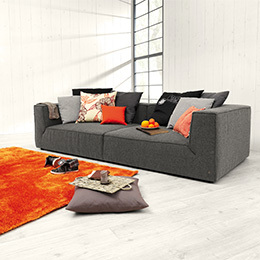 Restore original wooden floors, maximise natural lighting and declutter – this style is all about clean lines. If you liked this article, please share it on social media using the buttons below! Follow us on Twitter or Facebook for more like this! Send us photos of your room redesigns on social media, we’d love to see them!